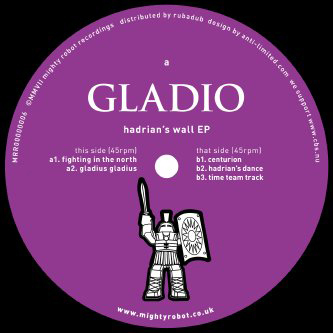 Archeologically-themed electro compositions on Mighty Robot from self-proclaimed 'Slave Of Rome' Gladio, who very possibly takes his ancient history a bit too far by naming the final entry on this five-track opus 'Time Team Track'. Still, nice to hear '80s-style synth pieces making reference to Tony Robinson, however inexplicable it might seem. Are you not entertained? Solid twelve.